Paper Sweets–the tenth in the PaperMade series–will be an instant social media sensation. 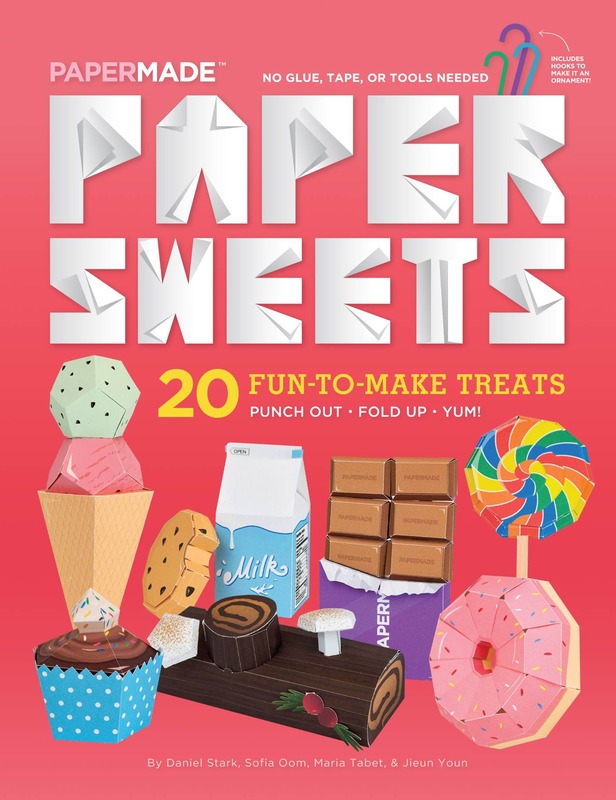 All 20 pages have unique designs that are pre-cut, scored and deliciously illustrated with yummy sweets. Each delicacy punches out and folds up into a 3D shape with easy-to-follow instructions right on the page. 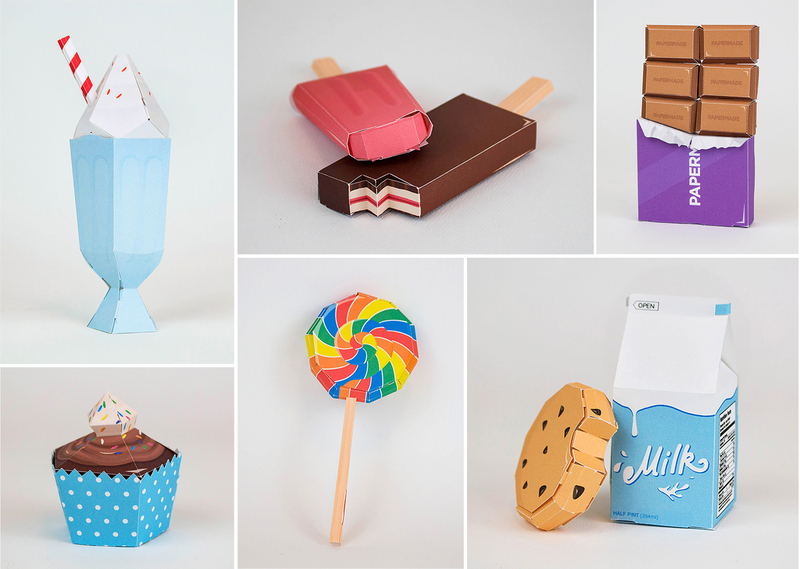 Paper Sweets combines paper craft with advanced paper engineering so no glue, tape or tools are needed! Paper Sweets are fat-free and totally addicting. People ages 7 to 101 will love making Paper Sweets and sharing their photos and videos of them everywhere. PaperMade™ books and products make paper craft easy and fun! Transform simple, flat paper pages into functional 3-D toys, accessories, and objects. PaperMade™ is the creation of designer Daniel Stark in New York City. Stark holds a BFA from Parsons School of Design. High-res scans to your specification are available upon request; scanning from the book or lifting images from the mechanical file are strictly prohibited. Mandatory credit line: From Paper Sweets by PaperMade, published by powerHouse Books.